Treating Anxiety With THC – Less Is More? 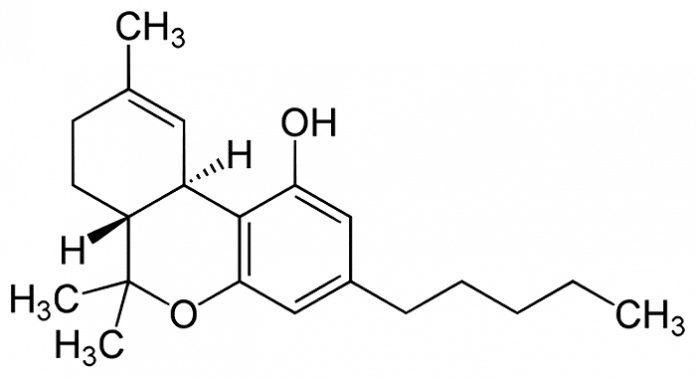 When it comes to the psychoactive cannabinoid tetrahydrocannabinol (THC), higher doses may increase anxiety rather than reduce it according to new research. Researchers at the University of Illinois at Chicago and the University of Chicago carried out a small study involving 42 volunteers with previous cannabis experience, but who were not daily users. The 42 were put into one of three groups. The low-dose group were given capsules containing 7.5 milligrams of THC; the moderate-dose group were provided capsules with 12.5 milligrams and the other group administered a placebo; i.e. capsules without THC. After being given enough time for the THC to take effect, the participants were asked to undertake certain tasks, including preparing for a mock job interview. Their stress responses were gauged through self-reporting and measurements of blood pressure, heart rate, and cortisol – a stress hormone. “The participants who received 7.5 milligrams of THC reported less stress after the psychosocial test than those given a placebo, and their stress levels dissipated faster after the test,” says a report on the study. The researchers also noted those on the higher dose demonstrated impaired Trier Social Stress Test (TSST) performance and attenuated blood pressure responses. The team’s findings have been published in the journal Drug And Alcohol Dependence and is one of the few studies of its nature to delve into claims of the stress-relieving effects of cannabis. So, what might be going on with high THC medical marijuana that doesn’t seem to trigger anxiety? Aside from differences between individuals consuming it, this may be due to the presence of also high levels of cannabidiol (CBD), which is believed to take the edge off THC’s anxiety effect and is regarded by some as an anti-psychotic. The findings and further research are important as it could lead to more effective cannabis medicines with even fewer undesirable side effects.